When do puppies stop growing? Sometimes it's difficult to judge. Many people follow the old adage that a puppy is automatically finished growing and maturing by the time it's one-year-old, but this isn't always the case. It's also important to make a distinction between the time that puppies reach their full adult size versus the time it takes them to mature. Most canines reach their full size by the time they are 12 to 18 months old although it does take longer for some of the largest breeds to finish growing. Some breeds even reach a full frame within the first six months of life although it takes longer for the rest of the body to catch up. While there isn't a single age at which all dogs reach full size, there are some general guidelines that vary based on breed size. Consider these guidelines to get a sense of when you can expect your puppy to stop growing. These pups tend to reach their full-sized framework between six and eight months old, and they'll typically fill out to their full weight by 12 months old. Common small breed dogs are Boston Terriers, Jack Russell Terriers, Chihuahuas and Pugs. You can expect breeds that fall into this group to reach their full-sized framework between 12 and 15 months old, but they usually won't reach their full weight until they're closer to 18 months old. An example of a medium-size dog breed is the Airedale Terrier, American Pit Bull Terrier, Border Collie and the Standard Poodle. This group is slower growing, and most large puppies won't reach their full-sized frame until 15 to 18 months old and their full adult weight until they're about two years old. 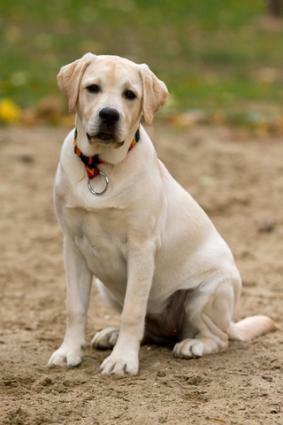 German Shepherds, Labrador Retrievers and Weimaraners are examples of large breed dogs. Very large dogs like Mastiffs, Great Pyrenees, Saint Bernards and Newfoundlands take the longest to reach full size. Their basic framework is in place by about 18 months old, but it can take until age two or three for them to reach full weight and muscle mass. While you can get a general idea of how large your dog will be based on the breed, it becomes a bit harder with mixed breeds. Many breeds also have a range of sizes and adults' size will vary depending on whether they are male and female. One way to estimate their size is to use an online puppy size calculator. Keep in mind that these will only give you an approximate guess and not a 100% accurate size and weight. Another way to determine their size is based on the age as a puppy. In general, most dogs are at 60% of their adult height by the time they are four months old. Puppies experience the largest growth rate from birth to about six months of age. It's a bit more difficult determining weight, as the same four-month-old puppy will only be at about 30% of their adult weight. You can use a puppy weight chart to estimate based on their age and breed how heavy they will be based on where they fall in the weight range for their age. With mixed breeds, you'll have to do some more guessing by comparing their weight at their age to another breed with a similar weight. It helps to know their breed heritage as well if at all possible. Size isn't the only consideration in when a dog will stop being a puppy. From a maturity perspective, it's important to keep in mind that different breeds tend to mature at different rates. Many people believe that they'll only have to put up with a rambunctious puppy behavior for a year. While some dogs do reach maturity near the end of their first year of life, others take significantly longer to mature. For example, Border Collies and other herding dogs don't begin behaving like grown-ups until they are approximately two years old, and Catahoula dogs don't fully mature until they are closer to three years of age. On the other hand, Toy Poodles and Shih Tzus typically behave like mature adults by the time they are 12 to 15 months old. If you're bringing home a dog breed that takes a bit longer to mature than most, it's important that you are mentally prepared to live with an adult size dog who continues to behave like a puppy for an extended time. If you have been living with a puppy for a while and waiting for him or her to settle down a bit, you've probably wondered how long it will take him to "grow up." While most dogs remain playful throughout their lives, there is a big difference between the lively activity of a mature canine and the boundless exuberance and dicey judgment exhibited by most puppies. A puppy tends to run at you full tilt and jump on you in greeting. A mature adult dog will be happy to see you, but he's far less likely to bowl you over just to say hello. Puppies are incessantly curious and tend to chew everything they can get their mouths around. In contrast, a dog that has matured past the puppy stage might have the occasional chewing incident, but this will become a rare event rather than the norm. 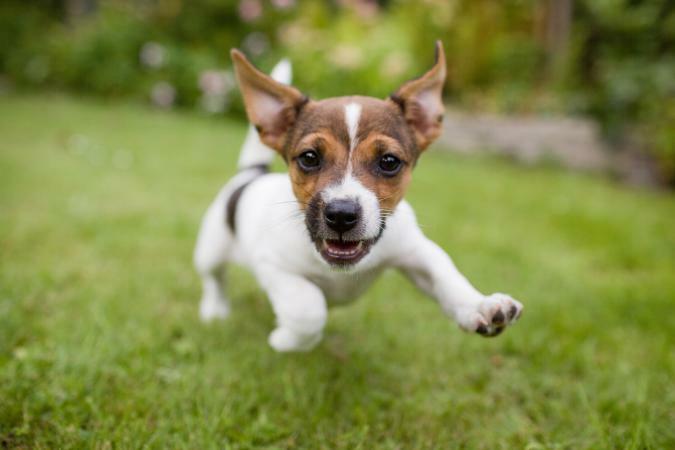 Puppies are full of energy and tend to demand a lot of attention from their owners. When dogs start to mature, they become calmer and no longer demand quite so much attention. A mature dog is happy to have your company, but he's also fine spending some time on his own. If your pup has always seemed to take great joy in shredding newspaper, chewing your furniture or digging holes in your yard, watch for signs that these behaviors are starting to subside. This can be a signal that maturity isn't too far off. When you notice that your dog starts to exercise a little more restraint, it's a safe bet that he or she is starting to mature. Before you get a puppy, be sure to find out how large he or she is likely to become when fully grown. Depending on how quickly your new pet grows, you may be in for quite a shock. Many people think about how much fun it will be to have a cute and cuddly puppy, but don't really stop to consider what it's going to be like to live with a fully grown, adult dog. The American Kennel Club offers info on the size each breed will reach; check that out so there won't be any surprises. To find out how long a particular breed takes to mature, you'll need to speak with an experienced breeder.